it has finally stopped raining and the sun is shining again, hopefully we will have a sunny weekend. i’ve a toothache for over a week now, but monday i will see the dentist, a new dentist who i have not seen or spoken yet. i’m sure you can imagine i’m a little nervous:( please wish me luck! last week i sent a package to my brother and his girlfriend, containing crocheted stuff. they have received it, so i can publish the photos today. i’m curious what you think of the end result? let me know, if you like? something completely different. maybe, just maybe you can remember this post of june 21, 2013 (also with weekend wishes!) with photos of my blooming succulent. and i am happy to tell and show you that the same plant has several buds, so soon it will bloom again. that is good news, don’t you think? that is it for this week, but below you will see a floral greeting from my brother ernst and his girlfriend mari to you with flowers from their garden. from me happy weekend and i hope to see you soon again! Categories: crochet, flowers | Tags: cushion, cushion cover, flowers, planthanger, plants, pothanger | Permalink. how are you? i hope it goes well! last and also this week i’ve done a number of small projects, one of leftover yarns and one of yarn which i have because i pulled out a project that did not work for me. let’s call this my second hand green yarn. bags and vases filled with yarn ends (short and a little longer) and tiny balls of leftover yarns i have. i’ve chosen these leftover yarns, tied the ends together and turned them into a ball. a few leftovers i have kept separately for the top and to make embroidery stitches. i found a small ball of black cotton yarn that i once used to make something, but i pulled again. i started crocheting and this is the result. 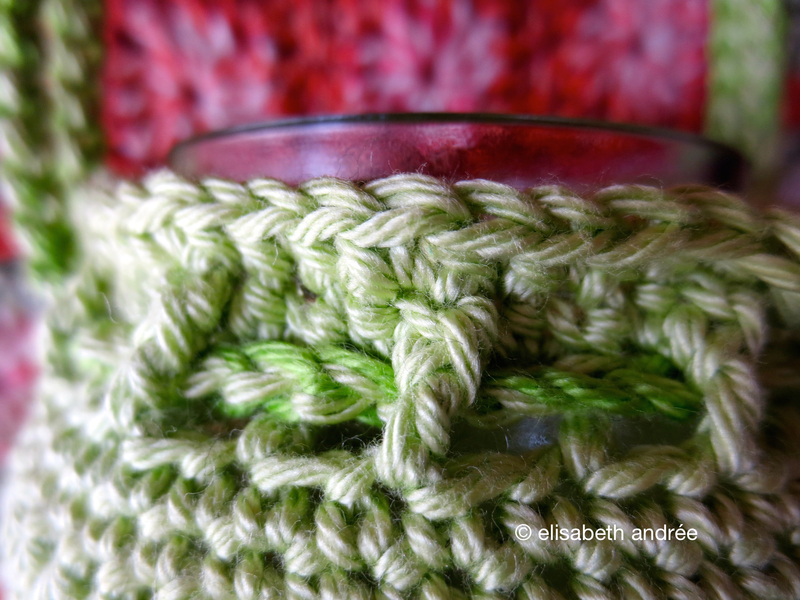 of this green variegated yarn i will make 3 large squares to make a…. i will show you another time. also i have been working on my orange shawl, which actually will be a blanket, because i have 9 more balls of yarn in this color. and later this week i will post photos of the crocheted present for my brother and his girlfriend. today i have the package sent to them, but they are both abroad, so i do not know when they actually will see it. come over in a few days if you have time. for now, thanks for visiting! Categories: crochet, wip | Tags: cover, planthanger, shawl, vase cover, wip | Permalink. we are already halfway through the week and it’s time for projects in the works. all small squares i have sewn together and i’m working on the finishing touches of the project. it’s a gift for my youngest brother and his girlfriend, although i have no idea if they will like it. the leftover squares are now a planthanger, also for the two lovebirds i mention above. with the same yarn as the lacy with dots blanket i am trying a pattern from the 2012 vogue knitting crochet special. it is the medallion shawl by kathy merrick which is made of a different type of yarn and in multiple colors. 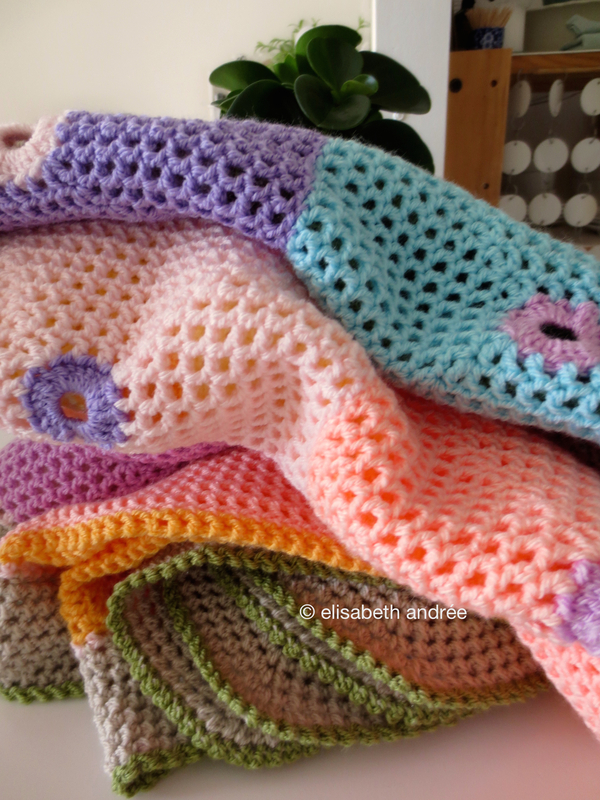 i do not know yet if i will make a small blanket instead, because i’m not the type to wear this kind of shawls. the gaps between the motifs are somewhat large to my opinion and i’m thinking about filling them so i’ve tried several options, but i’m not sure yet. i’m curious about your opinion, what would you do? 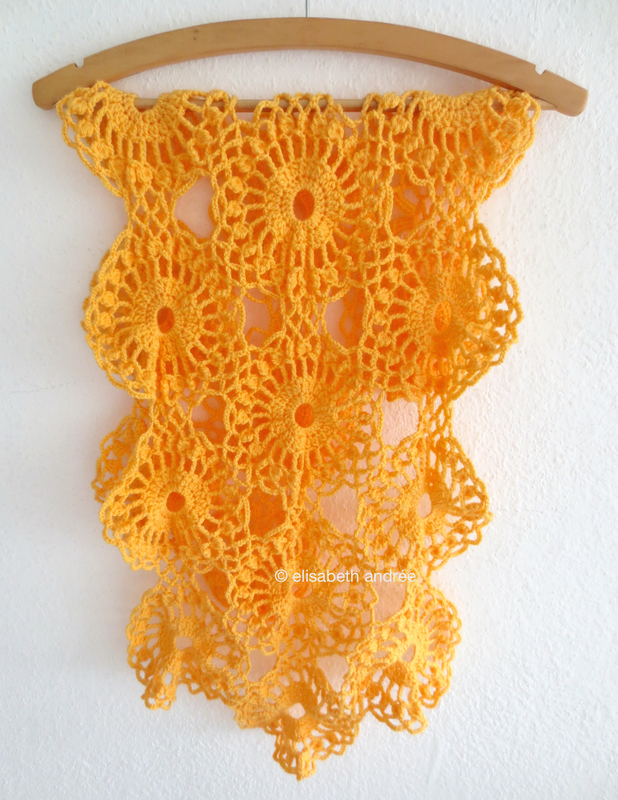 Categories: crochet, wip | Tags: blanket, planthanger, shawl, square, squares | Permalink. short time ago i told that i was making a birthday present, a bag for my cousin renée. in the week of here birthday, i was ill and i did not have finished the bag on time. last sunday she came to visit me and she said she didn’t mind making a liner herself. the past week was not a lazy week: i’ve done two small plant hangers because i didn’t like the old ones anymore. for a new plant, i did not have a suitable pot, and therefore it is now in a glass vase. 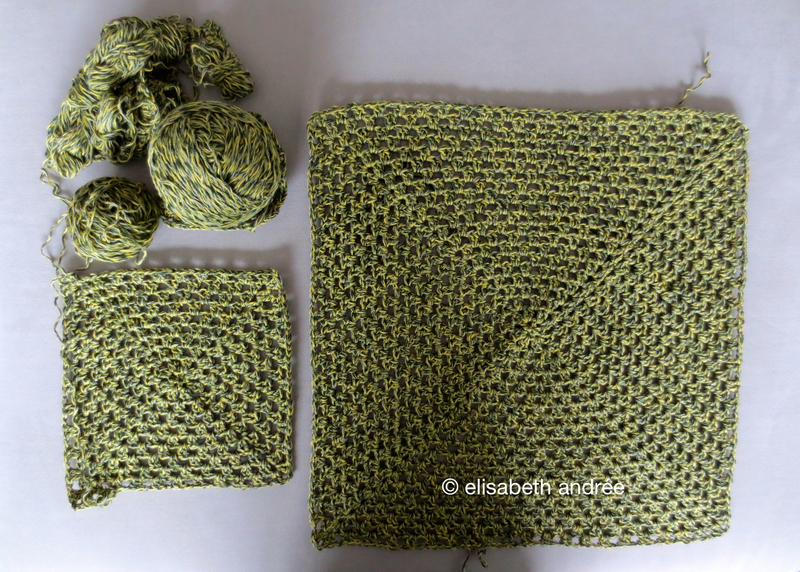 a new cover was made quickly with double strands of cotton yarn. and a glass tube has a cover too. the lacy with dots blanket is finished but the photos of this project you can see within a few days here on my blog. 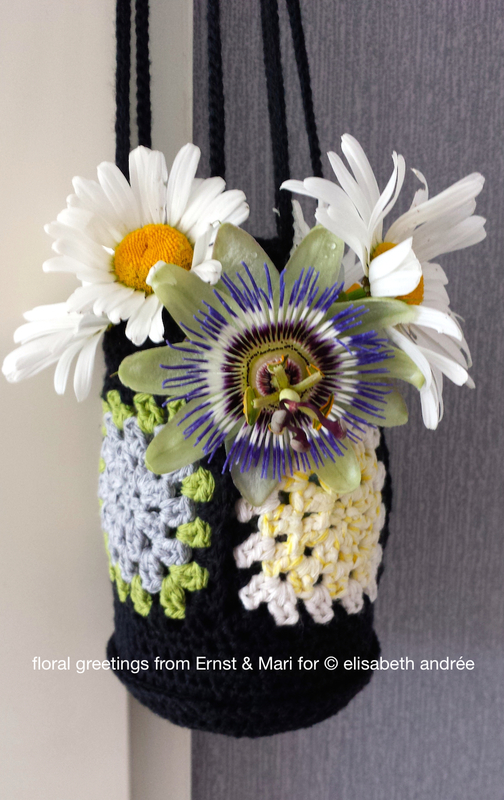 Categories: crochet | Tags: bag, blanket, crochet, planthanger, square, squares, vase cover | Permalink. yesterday i bought some new plants for the garden, but also a few house plants. 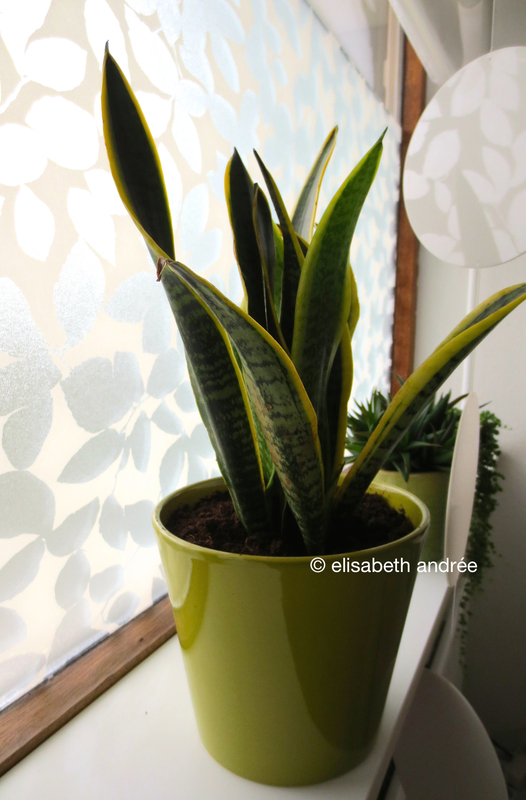 this sanseveria i wanted for a long time, and the green pot was already waiting for it. 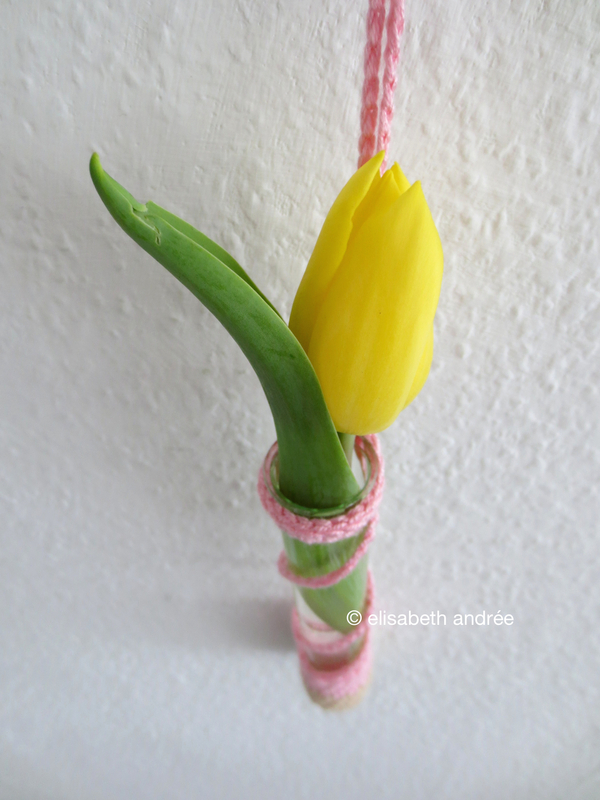 i like to hang plants and plant cuttings next to my front door, the little baskets i’ve crocheted in december, but i also made ​​a new planthanger. it is possible to hang it in different ways and eventually it ended up on the wall next to the couch close to the window. all the rows start with 1 ch (does not count as stitch), first stitch or first 2 stitches of a row into same stitch as ss, except when i describe otherwise. all rows end with a ss into the first stitch of the row. 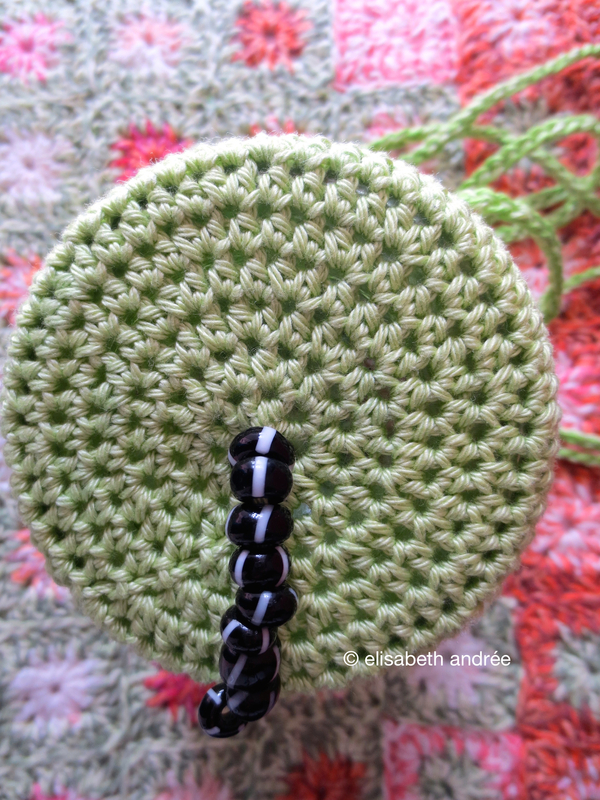 start with a magic loop and leave a long piece of yarn for stringing the beads and fasten off. depending on the size of the glass jar, you make more or less rows in which you increase the number of stitches. and finish with two rows of sc. use the yarn end at the middle of the bottom to string the beads, skip the last bead and pull needle and yarn back through beads and to the wrong side of the planthanger, weave in end. with double strand and larger size hook, make a number of chains to create enough length to hang the planthanger. pull cord through 1 chain spaces, knot yarn ends firmly and the planthanger is ready. joining the lovely creative friday! happy friday, happy weekend, happy time! 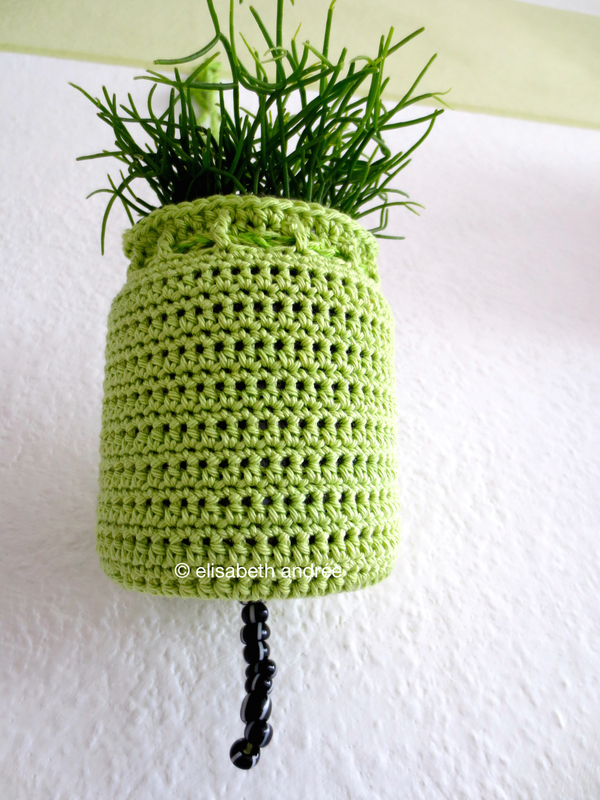 Categories: crochet, tutorial | Tags: green, planthanger, plants, tutorial, vase cover | Permalink.